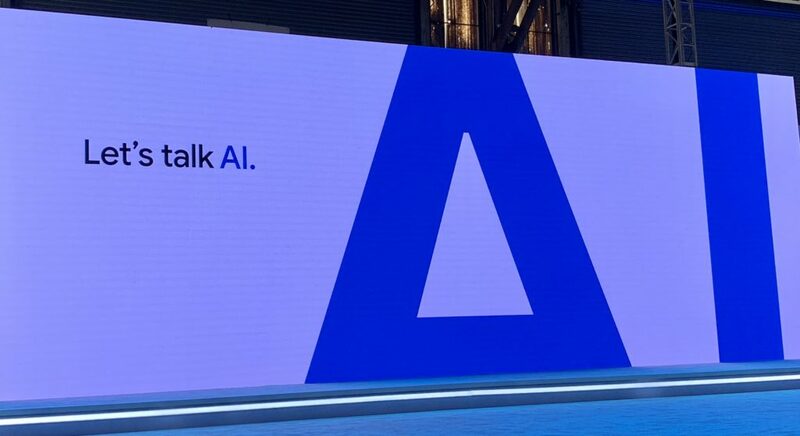 Google’s recent Let’s Talk AI event in SanFrancisco looks like being the last major customer event led by Diane Greene, as we recently found out that Google has hired Thomas Kurian, an Oracle veteran that left that company over the summer. He joins Google November 26, before taking the reins from Greene in January. A lot has been made of the upcoming culture clash between Kurian, who spent 22 years at Oracle, a stalwart of 1980s and 1990s Silicon Valley culture and Google, one of the modern-day SiliconValley icons. Such a clash is real, but not insurmountable, in my view. But bringing Kurian on board – just as it was with Greene before him – signals Google is deadly serious about the enterprise market. Kurian hasn’t even started at Google Cloud yet – let alone taken over the running of the place – but it’s clear that machine learning will be critical to Google’s prospects in the enterprise market. This is demonstrated by our recently-published Voice of the Enterprise AI & Machine learning Survey, which reveals the headway Google has been making headway under Greene. 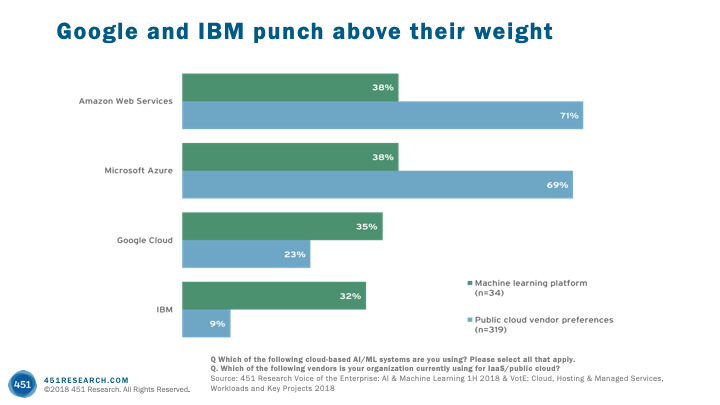 This slide shows the contrast when our survey respondents in the 451 Alliance are asked which IaaS cloud provider they would choose – (indicated in blue), versus which one would they would choose specifically for machine learning, in green. It demonstrates that machine learning is a key strength for Google and we expect Kurian to build on Greene’s legacy at Google Cloud in this respect. Returning to the Let’s Talk AI event in San Francisco Google had a lot of customers talking up its offerings, including Keller Williams, Meredith, Ocado, Siemens and Total, among others. Keller Williams showed how real estate agent walk-throughs in a house can be quickly turned into a usable asset using AutoML & speech to text. Meredith showed how it is using Google’s natural language API and AutoML to cut the time spent building taxonomies for some of its properties from years to months. And Ocado showed off its robots used in its distribution centers, the next generation of which will have Google Tensor Processing Units (TPUs) embedded in them, which will be used in the 20 warehouses the company is building for Kroger over the next few years. Also crucial to Google’s enterprise applications are its machine learning applications, which are not fully fledged business apps, but sit below partner’s apps to make them more intelligent, such as Google Cloud Contact Center AI, for which partner Genesys reported an “avalanche of demand”. Both Ocado and Total cited cultural alignment with Google as crucial to them choosing to work with Google Cloud – something I’m sure Kurian won’t want to mess with too much. So although Greene won’t be the person to fully realize Google Cloud’s enterprise ambitions, she is passing on a strong foundation to Thomas Kurian. I summarized some of these thoughts in a short video, which you can see on YouTube here. What is the Voice of the Enterprise saying about AI & Machine Learning?